Cocoons feature professional grade scratch-resistant Polaré® polarized lenses. 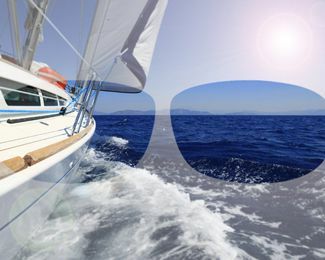 Polarized lenses reduce eyestrain by cutting glare, allowing your eyes to remain relaxed and focused on the task at hand. The elimination of glare provides a tranquil “cocoon” for your eyes, improving visual acuity and enhancing depth perception. Polaré lenses and side shields are also optically correct, precisely regulated to match in light transmission, color, and performance characteristics. We engineer our glasses so that there is zero vision distortion for the wearer—only protection. Our proprietary Polaré lens system delivers optical-grade visual acuity and durability unmatched by any other fitover sunglasses or clip-ons. Polaré lenses filter out 100% of damaging UVA & UVB to provide the maximum level of protection from damaging ultraviolet light waves. Polaré lenses exceed the requirements of eyewear standards ANSI Z80.3, EN 1836 and AS/NZS 1067 and all FDA impact resistance standards. HOW DO POLARIZED LENSES IMPROVE VISUAL PERCEPTION? Reflected surface glare is especially intense on and around water and snow due to the highly reflective properties of these natural elements. 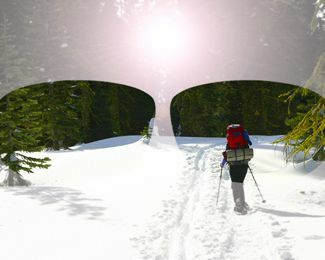 The reflected light levels encountered in snow conditions are so intense that they can result in Photokeratitis, more commonly known as snow blindness, which is a burn of the cornea. However, polarized lenses with UV400 protection neutralize harmful ultraviolet rays and eliminate the blinding glare encountered in these environments. Polaré polarized lenses featuring metallic mirror finishes maximize the polarization efficiency of the lenses and deliver a peak level of visual acuity in these conditions. 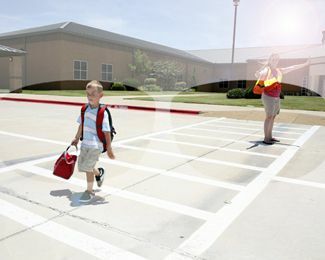 Glare encountered while driving can be exceptionally dangerous as it reduces visibility and recognition of roadway obstacles, other vehicles, and pedestrians. Additionally, excess eye strain caused by squinting can reduce alertness. Cocoons fitover sunglasses featuring 100% polarized lenses in amber and copper tints enhance contrast and sharpen visual acuity while eliminating blinding glare. 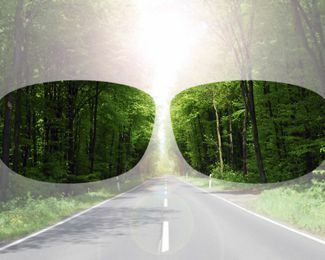 Sporadic weather conditions (clear to moderate cloud cover) call for lens tints that effectively decrease light intensity while enhancing contrast and depth perception. This makes amber or copper ideal tints for spring. Low, flat light (overcast conditions) require high light transmission tints that “brighten” your view while increasing contrast. Activities with intense surface glare like snow sports call for dark tints with mirror finishes.